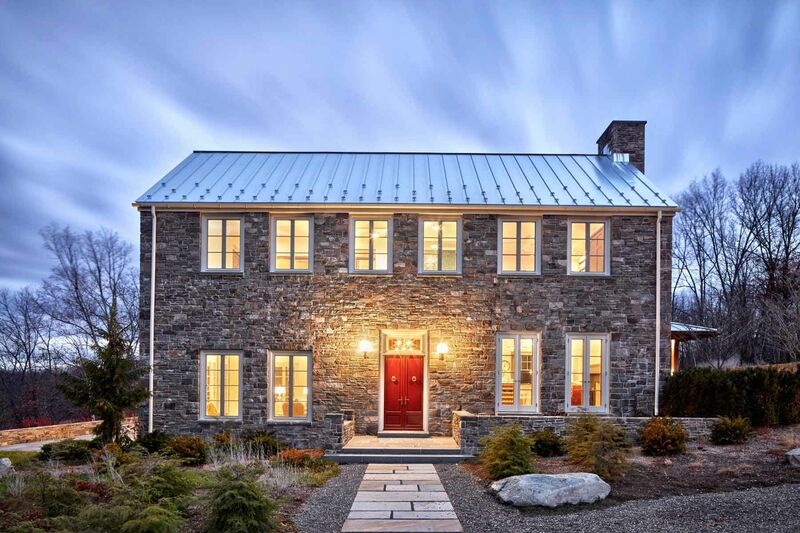 This new stone home recalls centuries-old Huguenot houses built along the Hudson River, while it incorporates the latest technology and materials of the 21st century. 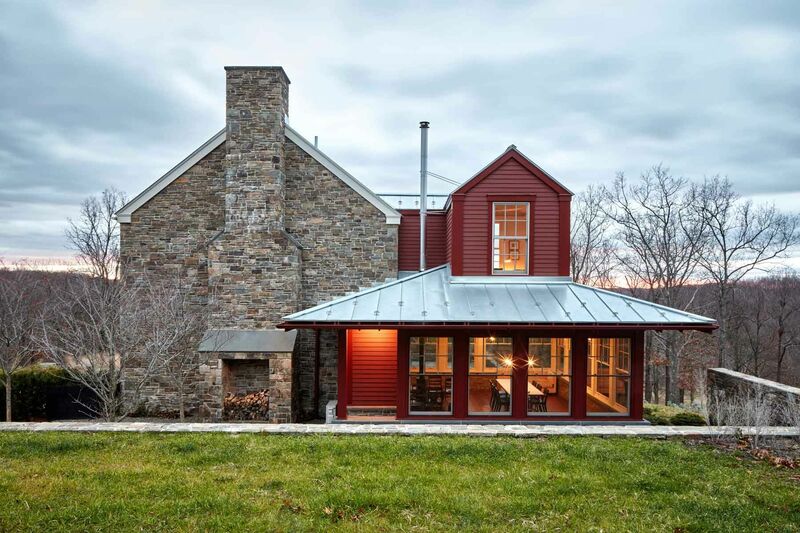 Fieldstone rock facing conceals insulation made from recycled blue jeans and ductwork for geothermal heating and cooling. The 26" thick exterior walls create commodious windowsills and give a primordial sense of security. 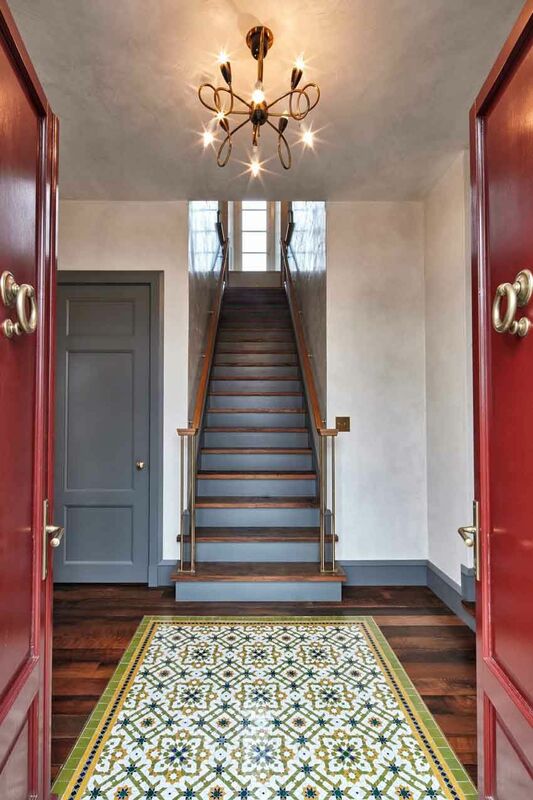 Drawing inspiration from early American center hall plans with rooms flanking a stair on each side, this modern house departs from its Colonial cousin when it comes to light and height. The living room ceiling soars to 14 feet, and is lit by an enormous Italian Stillovo chandelier. The Kitchen features a fireplace of epic proportions, but every modern convenience is concealed behind elegant stainless steel cabinetry. 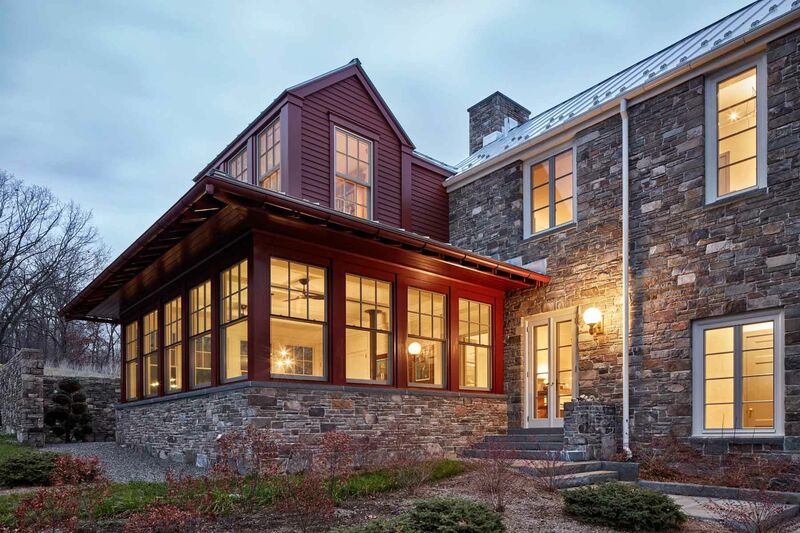 This new stone home recalls centuries -old Huguenot houses built along the Hudson River long ago, while it incorporates the latest technology and materials of the 21st century. Fieldstone rock facing conceals insulation made from recycled blue jeans and ductwork for geothermal heating and cooling. 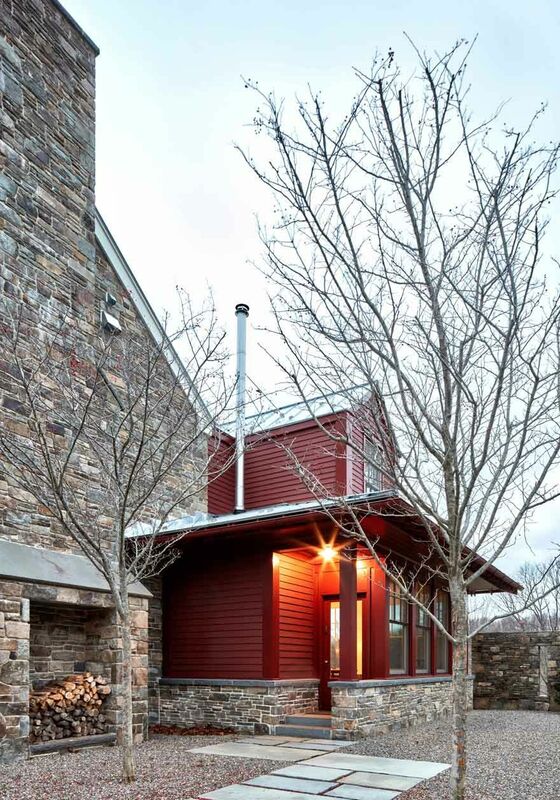 The 26" thick exterior walls create commodious windowsills and give a primordial sense of security. 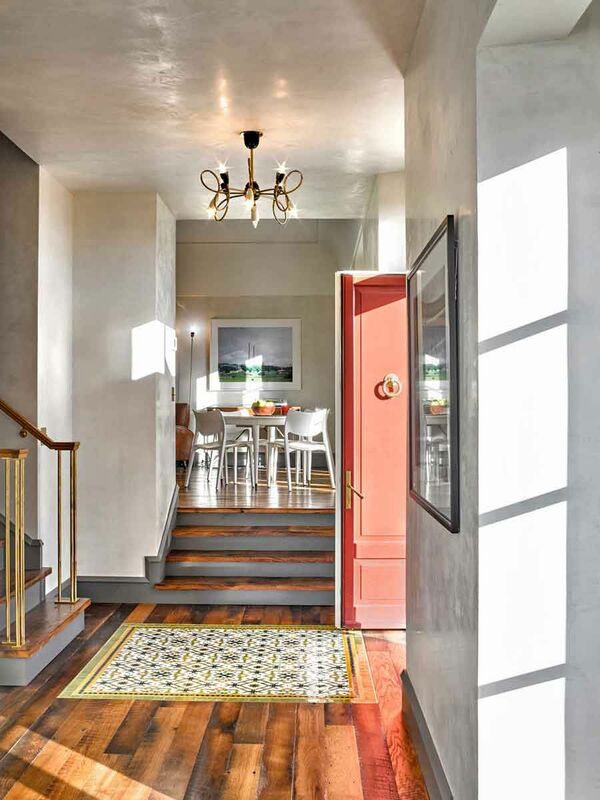 Drawing inspiration from early American center hall plans with rooms flanking a stair on each side, this modern home departs from its Colonial cousin when it comes to light and height. The living room ceiling soars to 14 feet, and is lit by an enormous Italian Stillnovo chandelier. The kitchen features a fireplace of epic proportions, but every modern convenience is concealed behind elegant stainless steel cabinetry.